54. בָּא הַמְּנוֹרָה הַקְּדוֹשָׁה לְנַשֵּׁק אֶת יָדוֹ. אָמַר, וַדַּאי אַתָּה הוּא בֵּן מִשָּׁם, בַּדְּיוֹקָן שֶׁל בְּנוֹ בְּכוֹרוֹ, תִּפְאֶרֶת בֵּן שֶׁל אַבָּא וְאִמָּא הָעֶלְיוֹנִים, הָאֲצִילוּת שֶׁלּוֹ בְּלִי הַפְסָקָה, לֹא קָדַם אוֹתְךָ בֵּן אַחֵר, לֹא בְמַחֲשָׁבָה, וְלֹא בְדִבּוּר, וְלֹא בְמַעֲשֶׂה. אָמַר הָרוֹעֶה הַנֶּאֱמָן, וְאַתָּה וְהַחֲבֵרִים, וְרָאשֵׁי מוֹרֵי הַיְשִׁיבוֹת, שֶׁמְּזֻמָּנִים לְכָאן עִמִּי בְּלִי הַפְסָקָה כְּלָל וּבְלִי תַעֲרֹבֶת. נָשְׁקוּ כֻלָּם זֶה לָזֶה, וְהִכִּירוּ בָאַחֲוָה וּבָכוּ. 55. פָּתַח רַבִּי שִׁמְעוֹן וְאָמַר, עִם כָּל זֶה, בֵּן בְּכוֹר חַיָּבִים כָּל אֶחָיו בִּכְבוֹדוֹ, שֶׁהֲרֵי כָּתוּב (שמות כ) כַּבֵּד אֶת אָבִיךָ, וּפֵרְשׁוּהָ רַבּוֹתֵינוּ, אֶת – לְרַבּוֹת אָחִיךָ הַגָּדוֹל. וַאֲפִלּוּ מִכָּל צַד הוּא מְפֹרָשׁ עָלֶיךָ בַּתּוֹרָה, בְּשַׁגַּ”ם – זֶה הֶבֶל. וְלֹא הָיָה לְאָדָם הָרִאשׁוֹן בֵּן קַדְמוֹן מִמֶּנּוּ, וּפֵרְשׁוּהָ רַבּוֹתֵינוּ, בְּשַׁגַּ”ם – זֶה מֹשֶׁה. שֶׁבֶּן הַמֶּלֶךְ בְּכָל מָקוֹם, אַתָּה הַבְּכוֹר מִצַּד שֶׁל עֵץ הַחַיִּים שֶׁל טוֹב וָרָע, אַתָּה הוּא טוֹב. זֶהוּ שֶׁכָּתוּב (בראשית א) וַיַּרְא אֱלֹהִים אֶת הָאוֹר כִּי טוֹב, (שמות ב) וַתֵּרֶא אֹתוֹ כִּי טוֹב הוּא. A rebellious son is the one that doesn’t follow his father (Chokmah) and mother (Binah), meaning he is not connected to his roots. The process of expressing our soul in this world is on three levels. The force that drives the process is in the thought because without it there’s no process to follows. The force comes from Keter and revealed in Chokmah and Binah with the process of thoughts. Thoughts come out as words and words manifest into actions. The connection between the three levels can be easily corrupted. A positive thought can transform into negative words and positive words can end up with negative action. The first positive idea/thought is pure and appears in Chokmah, then transferred immediately to Binah and as we studied in previous DZ, Binah can have a Klipah. The ‘thickness’ of this Klipah depends on the purity of the person receiving the thought. For righteous people the thought stays pure but for those who have layers of impurities, they need to work harder to break the Klipah and keep the purity of the thought and the process that follows. Following positive thoughts with proper words and actions channel the light from Atzilut (Emanation). The Zohar gives the example of the righteous that follow the study of Torah without expecting rewards.Expecting rewards from the study of Torah define and limit the channel for the light from above. When we do the work and the study without expecting personal rewards, our channel becomes pure and able to deliver higher light. When it comes down through us, we automatically benefit from it and even if we know this fact, we shouldn’t even think about it when we connect to the Light with any positive action/precept. When a person reaches a high level of certainty, it becomes easy to think and put others first. Such person would continue to seek opportunities to do for other quietly and unconditionally. There’s a story about the Baal Shem Tov telling that one time he fulfilled a promise to a person and by using the holy name he reverse a decree from heaven and blessed the person with a child. After he did that a voice from heaven told him that because he used the name without prior preparation and meditation, he lost all of his merits for the world to come. He became so joyous and his surprised students asked him to why he reacted positively to such a big loss. 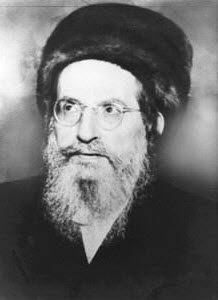 He explained that the highest level of connection is to follow the Torah without expecting rewards and now after his merits were taken away from him, he could do the work 100% without expecting rewards. After he explained his true feeling and consciousness to his students, a voice from heaven announced that all his merits were restored for him. It’s important to know that the less we ‘interfere’ with the ways of the Light, it is better for us. The Light is Endless and if we, with our small vessels try to define everything we want then we limit the light that can be revealed in our lives. This study was between Rabbi Shimon and Moses and when they finished, rabbi Shimon came to kiss Moses’s hands. Moses told rabbi Shimon that their connection was without any aspect of the negative side. To their study joined the friends and all heads of the Yeshivas, Torah schools in heavens, that came down with Moses to be part of the study. They all kissed each other with expressions of love and cried. Moses is a reincarnation of Abel, the son of Adam and Eve. For that reason, he is able to connect the Father (Chokmah) and the Mother (Binah) to become a channel for the sefira of Da’at that is also the aspect of ‘son’ of Atzilut. The love that they expressed to each other opened all the gates and borders from Atzilut all the way down to Rabbi Shimon’s study and allowed Moses and many of the heads of the upper Torah schools to join the study in the level of Malchut. The Love below is a higher level connection to the upper three Sefirot and it draws the Light of the Endless to the world and bring life with it. The rebellious son that disconnected from his roots is destined to die but those who acts with love and study make the higher connections. Rabbi Ashlag teach this verse and put the focus on ‘as yourself’ because it could’ve been enough to say “love your neighbor”. The addition of ‘as yourself’ is very significant and direct us to the way we should love everyone. He told him ‘Go and study the Torah’. Only when we study the Torah deeply from the Zohar, we can achieve the true level of ‘Love your neighbor as yourself’. A simple love and kindness is not fulfilment of this precept. The love should be deep as one would love and take care of himself. Read ‘the Gift of the Bible’ for Rabbi Ashlag complete explanation of this verse..
Express ‘Love for your neighbor, as yourself’ and share your Zohar studies. If it’s good for you then it’s good for them.